I miss you. It has taken me a couple weeks to really process that you are no longer with us. It doesn't seem real. I tried to call your cell the other day, just to hear your voice- but your voice mail had been turned off. I was going to leave a message, thinking that you might return the call and that this was just a bad dream. I have so many things to tell you, new pictures of Charlotte to show you, share funny things she said. I want to tell you how much I miss you and love you and that we are coming to visit you soon. 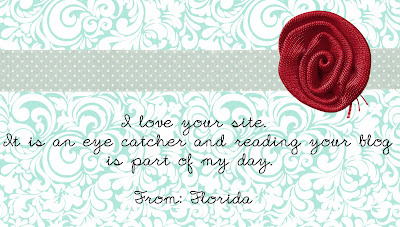 I want to share some new designs from PBD... tell you to check out my latest blog post, or whats new on the site. You were my biggest fan! I miss our weekly phone chats and hearing Charlotte say, "I love your Gammy". Maybe you have the Internet in Heaven and can still read my blog posts after all. Maybe you can visit me in my dreams and visit Charli in hers... I want her to remember you. Oh Grams... I didn't think you would be leaving us so soon. I am so thankful for the relationship we had, for the memories that will live on. Oh sweet Jess! We just lost my husband's grandfather a few weeks ago too. A warm hug is being sent your way! I am speechless because I know exactly how you feel and nothing I can say can make it better. I just want to send you a tight hug. Big HUGS! Such a sweet post. I'm so sorry for your loss! Keep writing to her, I know she can read your blog from Heaven! So sorry for your loss, Jessica. Grandmothers are such special people in our lives, and it sounds like you had a wonderful, supportive one. So sorry Jess about your loss. I have just gone thru something similiar which is why I left the blog world for a little while. You and your family are in my prayers. Very sweet. So sorry for your loss. So sorry for your loss. Especially hard this time of year I'm sure. Hugs! What a lovely post. By the way..I called her cell phone too, before it was turned off. You are not alone in your thoughts. I keep thinking I"m going to awaken from a bad dream too.